Are you looking to ship temperature sensitive, perishable, cargo? Then you need to make sure your shipping company can handle all of your needs! Does my shipping company offer friendly customer service to help meet my needs? Will my perishable goods be provided cold chain management? Can my cargo be refrigerated, chilled or frozen at all times at the temperature I require? Does my shipping company have pre-coolers, coolers and freezers for freight storage at all major transit points? Will my cargo be given high priority and special handling? Does my shipping company meet all perishable shipping cargo regulations? Do you offer several shipping methods so I may choose the best one for my needs? Does my shipping company have years of experience handling perishable shipping? You’ll be glad to know Amerijet’s answers are all YES! With more than 30 years of perishable shipping experience, Amerijet’s sophisticated temperature controlled equipment, facilities and special handling procedures have proven to deliver the highest quality product. When cold chain shipping, always remember: keep it cool. 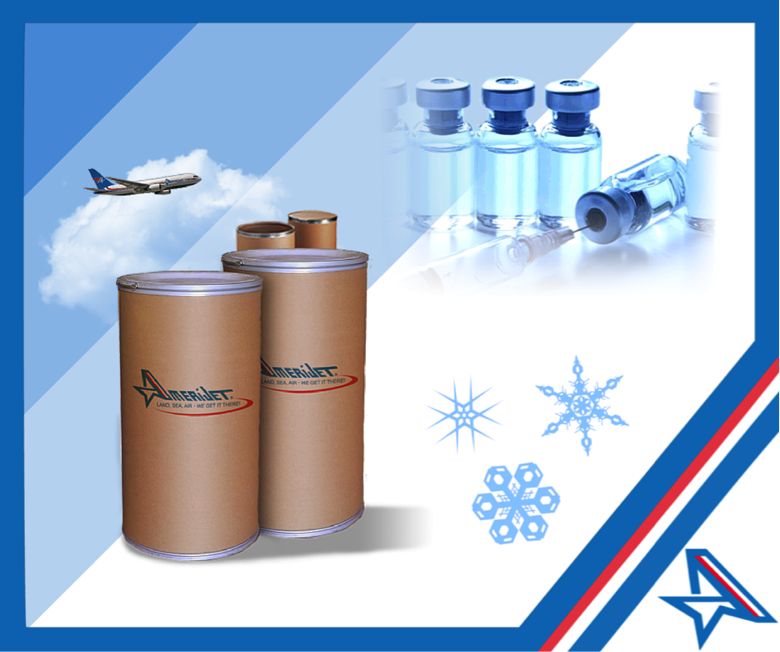 To learn more about Amerijet’s Temperature Sensitive Shipments, visit https://www.amerijet.com/perishables.html today!